In her sermon this week, Rev. Roberta will discuss “Centering: Navigating Race, Authenticity, and Power in Ministry”. 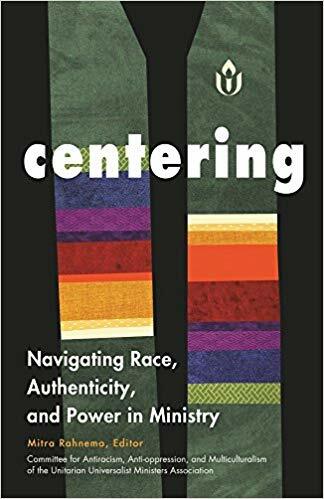 Edited by Mitra Rahnema, this book puts the voices, experiences, and learnings of UUs of color at the center of a religious conversation and describes how racial identity is made visible and invisible in UU ministries. Copies will be available in Book Corner for $18/each. Please also note that Book Corner will no longer sell cards. The remainder of our stock has been given to the Pastoral Care Committee for distribution to members of the congregation.